Iranian Foreign Minister Ali Akbar Salehi said today in Tehran that no date or venue has been set for the next round of talks between Iran and the P5+1. Salehi’s comments contradicted an earlier report by semi-official news agency ISNA that the meeting was set for 28-29 January. 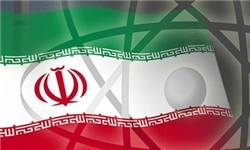 The foreign minister’s comments also came a day after a meeting between Iran and the IAEA ended with no agreements. Iran and the P5+1 last met in Moscow in June 2012. In recent weeks, the Russians have voiced concerns that no dates for the next meeting have been set. The EU has reportedly suggested the 28-29 January dates. It is not clear why Iran is apparently using delaying tactics with both the P5+1 and the IAEA. It could be that the Iranian government does not want to come to an agreement with the U.S. and the West before its June presidential election. In the absence of an agreement, new and far-reaching U.S. sanctions will go into effect on 6 February that could block Iran’s oil export revenues from reaching Tehran. Does anyone in their right mind think that there will be a "solution" or outcome? This is just a farce as the so-called 'west" a euphemism for Zionist controlled toadies, is really out of options as economic pressure, terrorism, sanctions, psy-ops, propaganda and sundry have not budged Iran an iota so they have to save face, minus a regional or world war. The Iranian nuclear file is closed and locked in a sealed vault at the bank Melli. LOL. If the Iranian nuclear file is closed, then why the Islamic Republic officials still elect to meet with IAEA officials, the latest this week, and with world powers, the latest in Moscow last June? Are they not telling the truth that they want to negotiate, or are you wishing that the file is closed but the officials of the Islamic Republic do not know it yet?